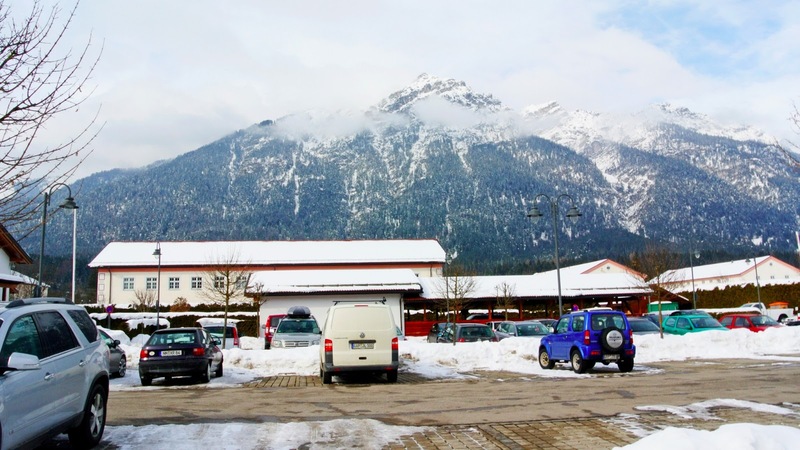 This weekend I had the opportunity to spend a few days with my husband at Edelweiss Resort and Lodge in Garmisch, Germany. 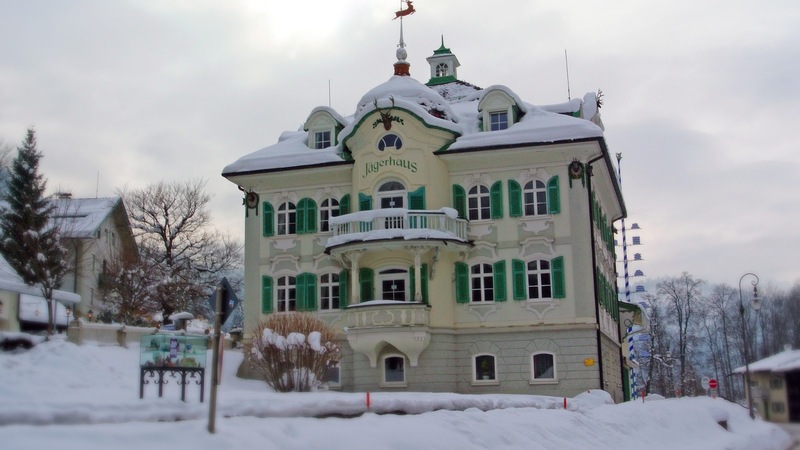 This resort is beautiful and sits amongst the Zugspitze, the highest mountain in Germany. These mountains are humongous and very picturesque. With all of the snow adorning the mountains and fog at the mountain tops, the whole weekend had this ethereal feel to it. 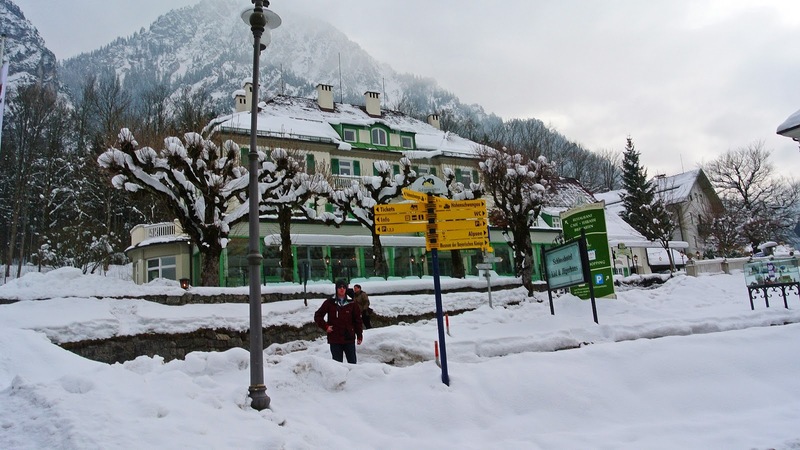 This was one of the most beautiful skiing/snowboarding towns I've ever seen let alone been to. 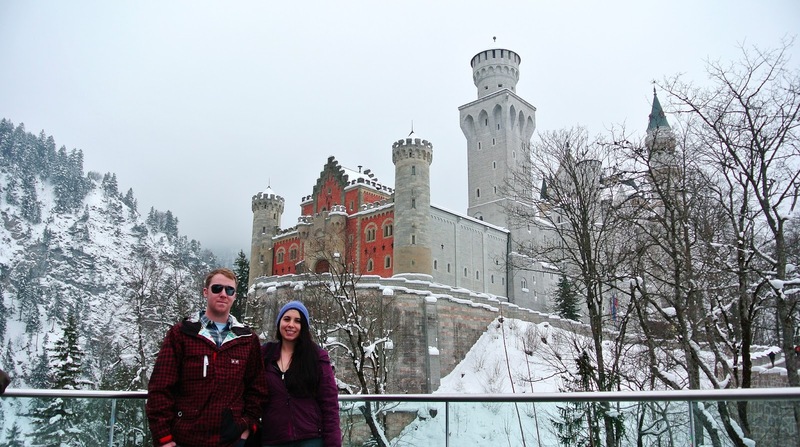 On the second day we went to the Neuschwanstein Castle and Hohenschwangau Castle. During our trip we also went snowboarding. 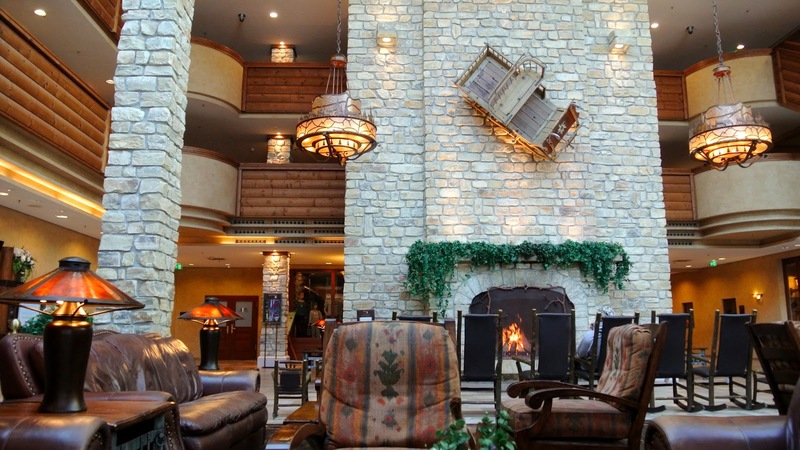 The first picture is of the lodge, Edelweiss, which you need ID to get to because it is an American resort. The resort itself was beautiful. Very nice rooms and services. The food was not so good. Pretty much a beefed up version of DFAC food. This is the view of the mountains from the lodge parking lot! There were many cute restaurants and hotels along the resort community. Each had their own style and charm. 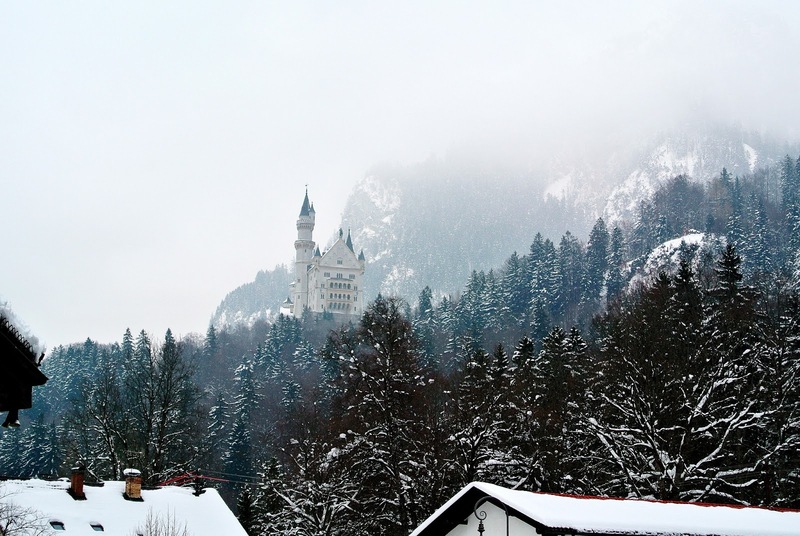 This is the Neuschwanstein Castle from the bottom of the mountain. 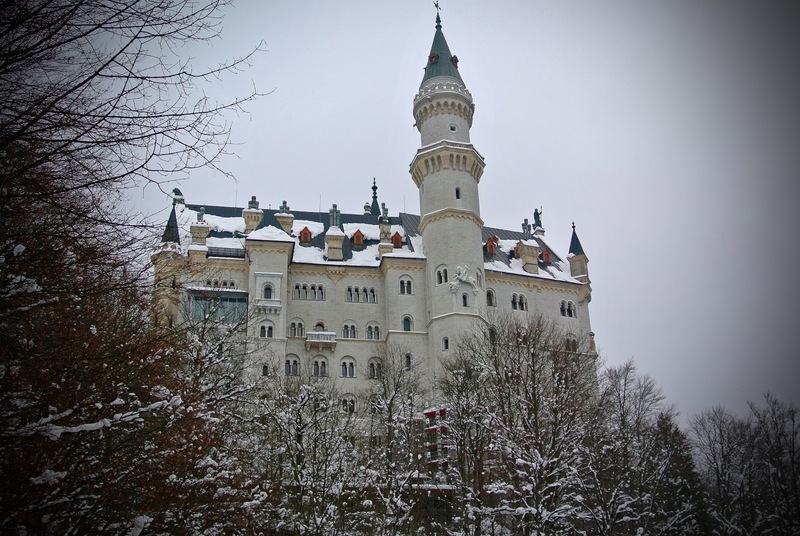 This is the most famous castle in Germany and it is also the castle that inspired Walt Disney. It doesn't look real but I assure you it is. 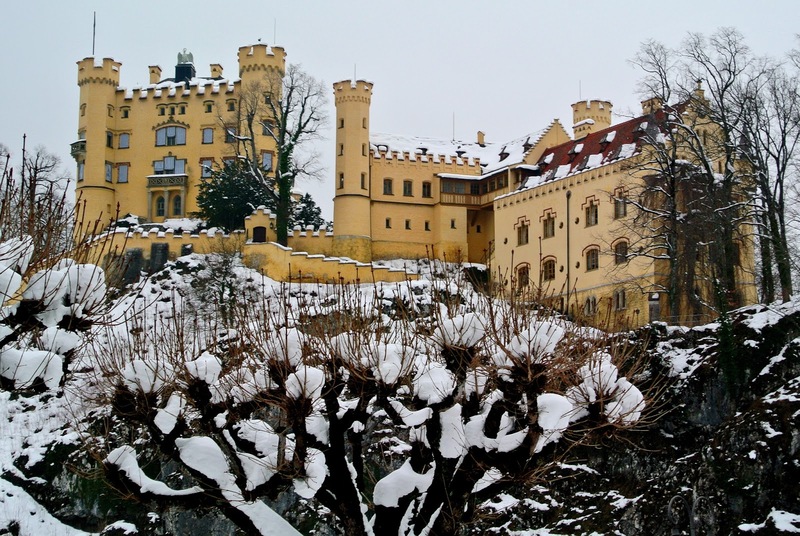 This was the castle of King Ludwig II. 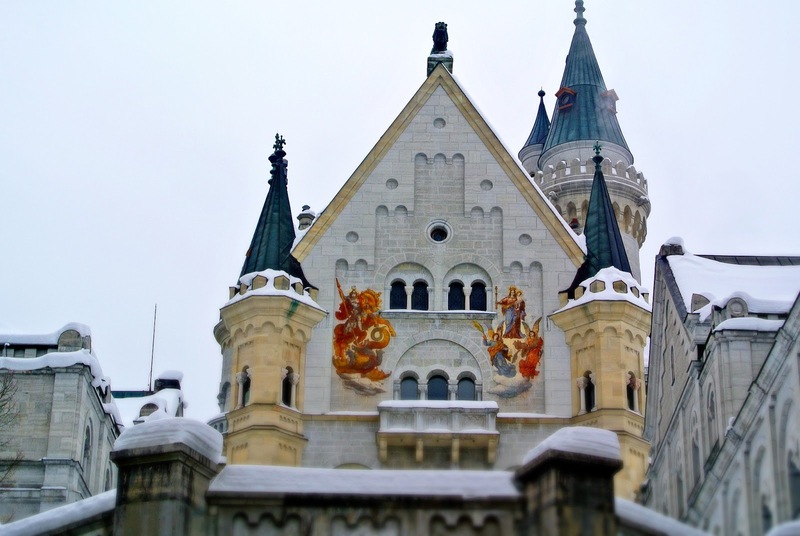 The castle was finally open to the public in 1886, only 6 weeks after the king's death. The king only got to live in the castle for about 170 days. The castle is still being renovated today and many of the rooms are unfinished, like the church. 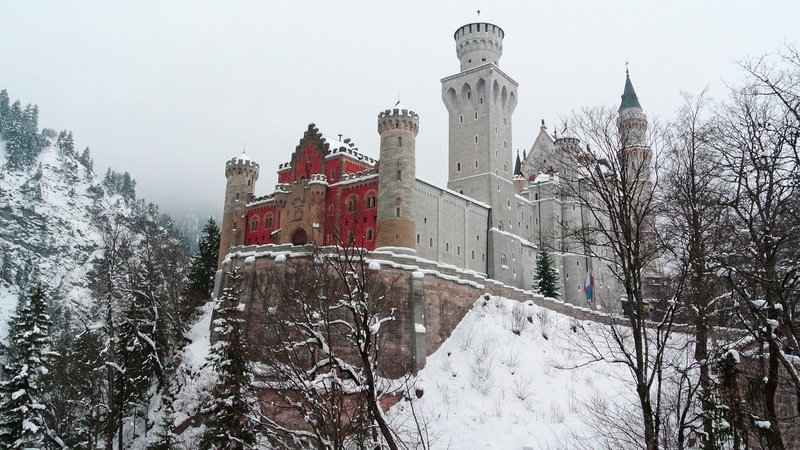 Though the castle was built in the 1800's it is reminiscent of the 10th century Romanesque style castles. This is what give it the fairy tale like look. We climbed to the top of the mountain which was a "45" minute hike to the castle. It only took Brandon and I about 15 minutes. We seemed to be going at a normal pace. We paid 12 euro to take a tour of the inside of the castle. Tours were available in English as well. I wish I could have taken some pictures of the inside of the castle. 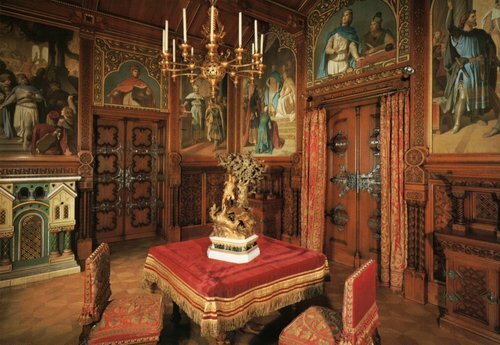 The decor was very elaborate and one of the most beautifully decorated interiors I have ever seen, with lush fabrics in rich colors such as purple, aqua, and burgundy accented with gold and dark wood carvings. 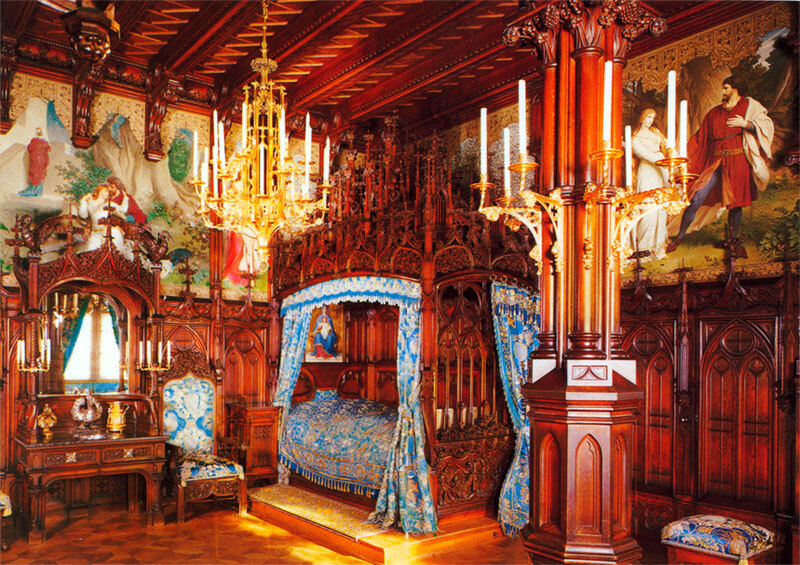 King Ludwig II bedroom took carpenters 4 years to construct the designs on the walls, the canopy of his bed, and top of his wash basin. 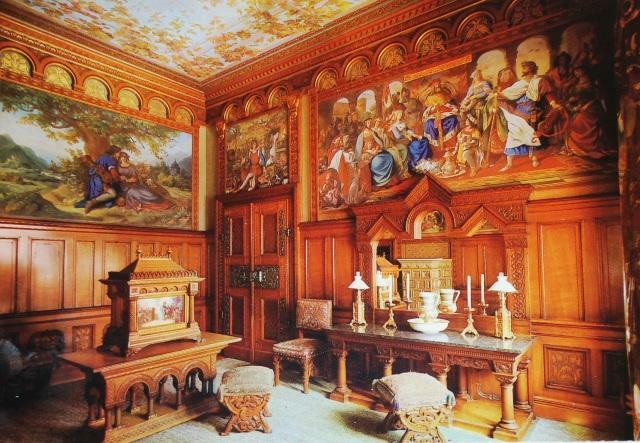 The style of interior was done in the Byzantine fashion with complete murals adorning every wall in homage to his favorite operas by Richard Wagner. Gold chandeliers hung from every ceiling and there was even a grotto/cave. 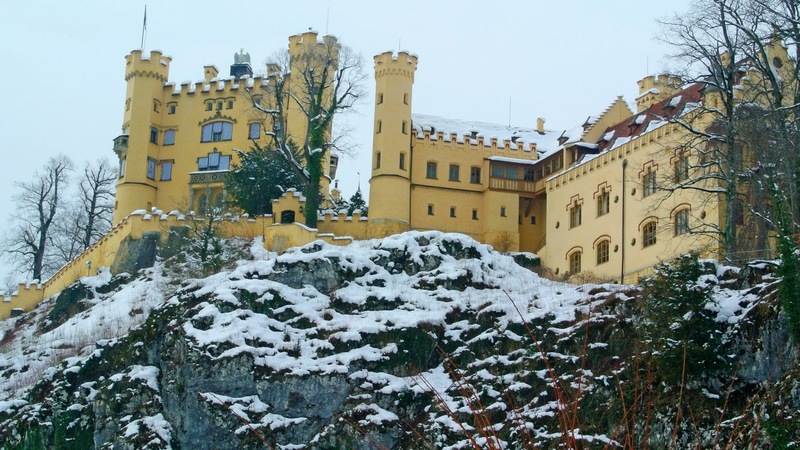 His castle was outfitted with the latest technology such as running water, a flushing toilet, and telephones. Below are two pictures that I have NOT taken but I feel it is necessary to show you how the inside looked. 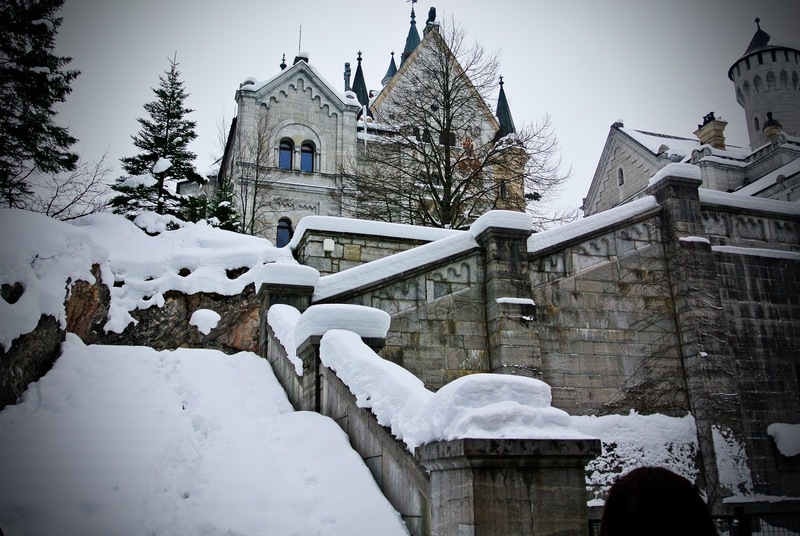 The picture below is a picture of the scenery around the castle. 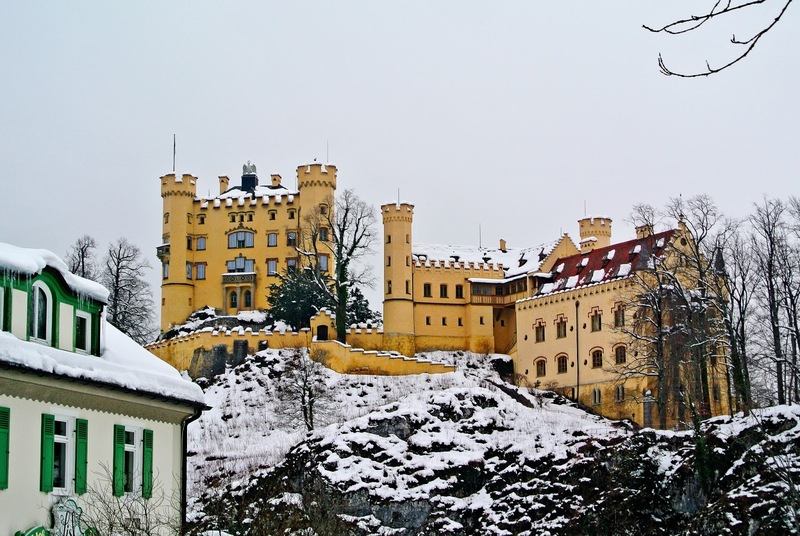 Close to the Neuschwanstein Castle is the Hohenschwangau Castle where King Ludwig II spent a lot of his youth as his father was King Maximillian. 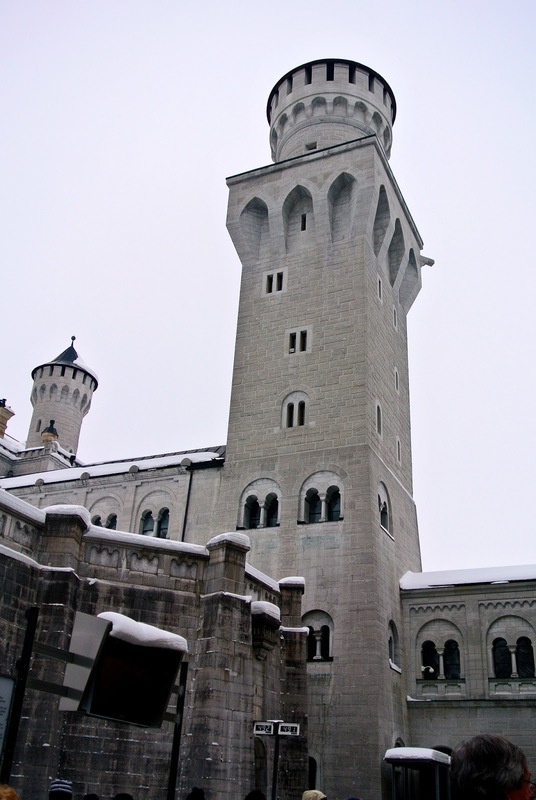 Though the castle was first mentioned in the 12th century, it was rebuilt by the King in the 19th century in the Neo-Gothic Style. 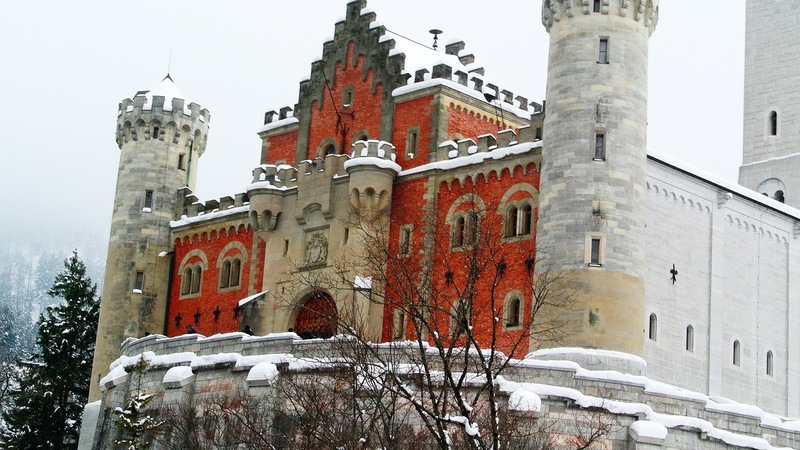 This castle is centuries older and maintains all of its charm. The interior is also very ornate and they offer tours inside as well. We did not have enough time to go into the other castle but I will definitely be making another trip at some point. 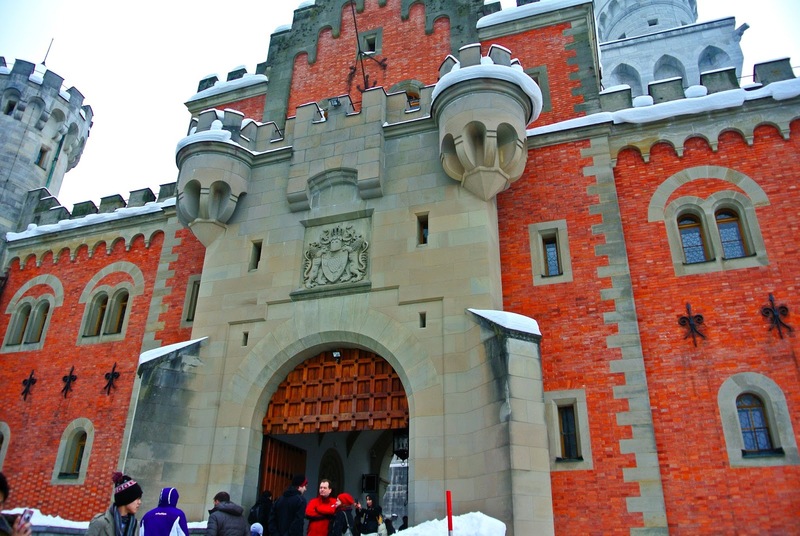 I took some pictures of the outside of the castle. 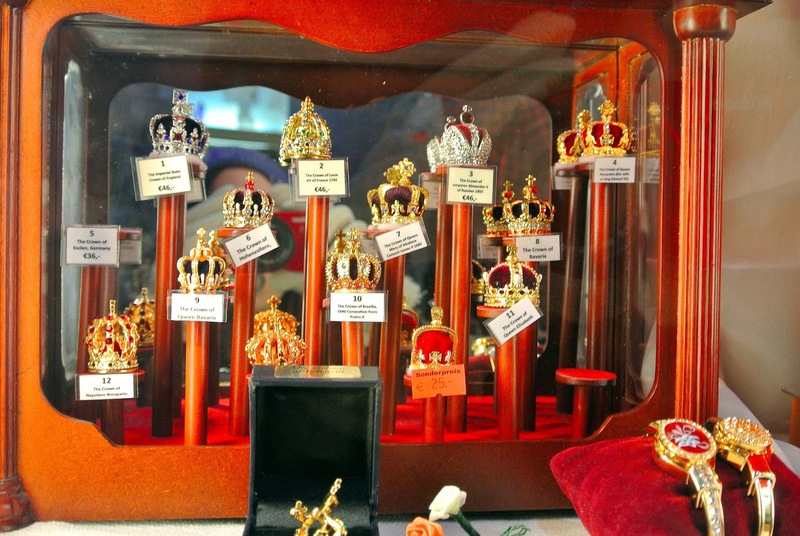 The last picture is of model crowns from Germany. Very pretty. You took some very nice pictures. It makes me want to visit Germany again. Thanks. 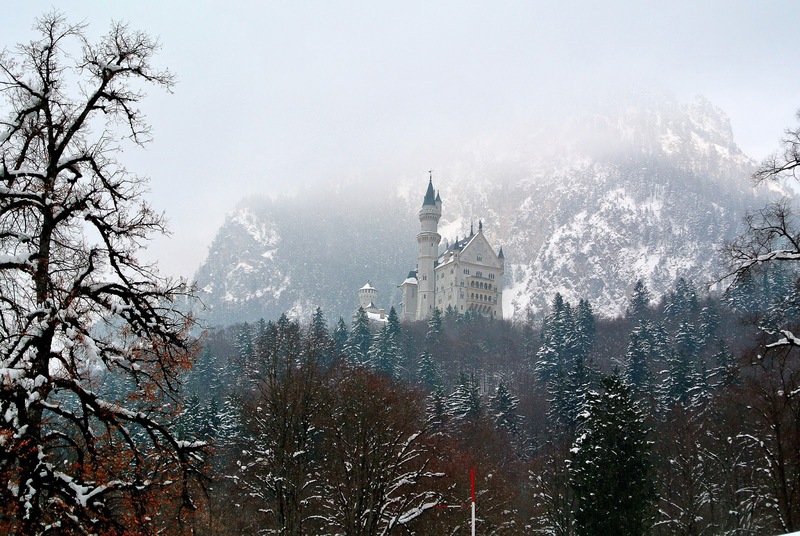 Germany has so much to see and do! I'm just trying to travel as much as I can. What do you think of river cruises? Just noticed this comment now! I really wish I would have been able to take pictures on the inside, it was magnificent. I'm pretty much obsessed with castle interiors. It's definitely the "fairy tale" castle. 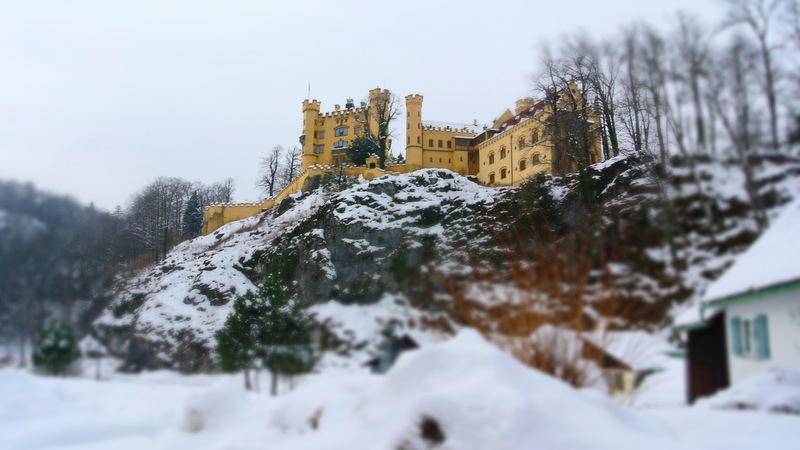 King Ludwig II went mad here. Thanks for reading! I am enjoying every minute of my time here, I know it will be too short. I'm trying to travel as much as I can before we leave and experience as much of Europe as possible. I love it here. Glad I could stir up some good nostalgia. Take care. Oh these brought back wonderful memories for me as well!! When my son and family were stationed there (they lived in Idar-Oberstein) we visited a couple of times. We would live there if there was a way possible!! We stayed at the Edelweiss Lodge. It was gorgeous! We didn't eat there but ate at a restaurant in Garmish. The food there was delish!! 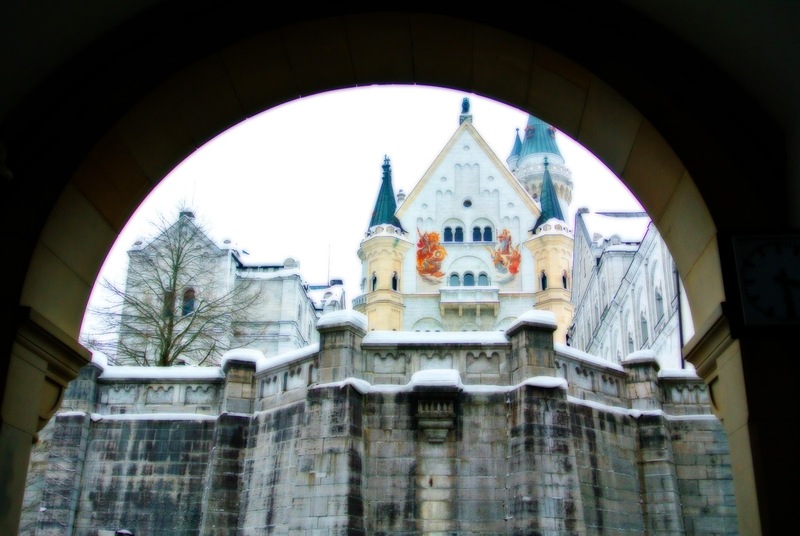 One of the things I had wanted to do for a long time was visit the Neuschwanstein Castle. We took the horse and wagon up since my mother in law was with us and we had already walked her to death. ;)I did sneak a picture looking out of the castle at the valley. My son was in Iraq half of the time they were stationed there but when he was home they traveled ALOT!!! I'm glad you are taking advantage of that as well. Have a great week. And thanks again. I'm glad you enjoyed the post. I've never heard of Idar-Oberstein? But I am definitely taking advantage of my travel opportunities here. 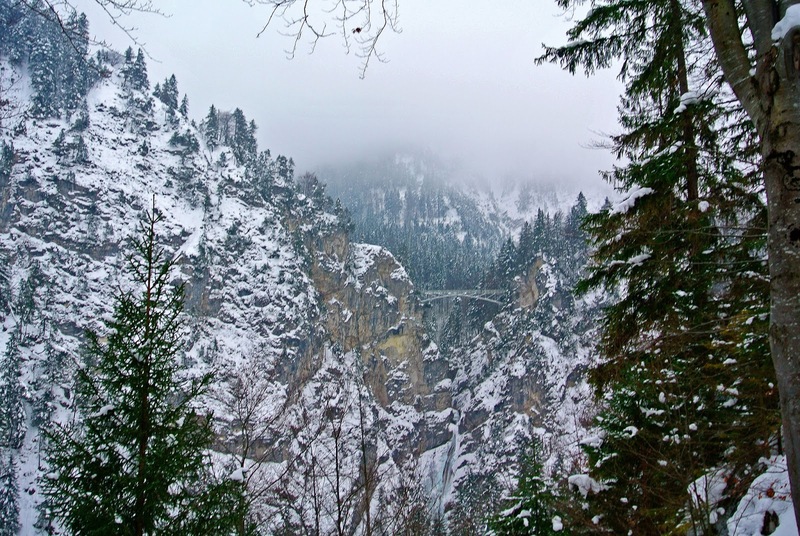 And I've been to Garmisch once so far, it is amazing and beautiful and there is so much to do that way. 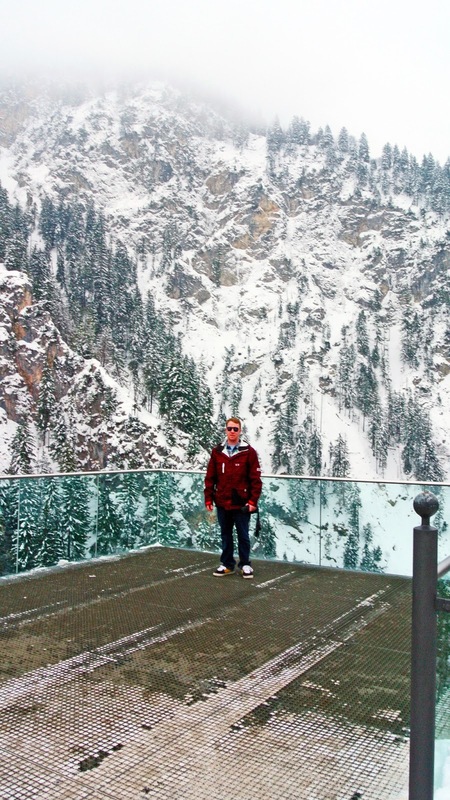 I'll probably be heading back to Garmisch in August to experience it during the Summer!